Although Parkinson’s disease (PD) is a relatively common neurodegenerative disease, therapeutic treatments are still limited due to its complex pathophysiology. Now, a Korean research team led by Su-A Yang and Jonghee Yoon of the KAIST Institute of Health Science and Technology in Daejeon, has demonstrated quantitative morphological profiling of individual neurons using Holotomography (HT) technology developed by Tomocube. Tomocube’s HT microscope enabled the measurement of the 3D refractive index (RI) distribution in the neurons in the team’s in-vitro PD model and could lead to more effective drug treatment. Their results show the development of apoptotic features in early PD progression and the team believes its novel approach opens up new opportunities for the quantitative investigation of the pathophysiology of other neurodegenerative diseases. It also offers unique benefits for the study of cytotoxicity. The in vitro PD model enables the differentiation of the cell populations into three different groups. Healthy cells have a thin shape with the formation of dendrites, dying cells become rounded and detach from the dish surface, while healthy dividing cells show similar morphology to other healthy cells but have increased dry mass due to biosysnthesis activated during mitosis. By analysing each cell’s RI tomogram through Tomocube’s software, the surface area, volume, concentration, dry mass, and sphericity of each cell could easily be calculated. The study also showed that by monitoring the RI over time, cells undergoing mitosis were easily identified without the use of fluorescence labels. According to Aubrey Lambert, Chief Marketing Officer at Tomocube, the immediate quantitative phase images of the intact morphology of live cells is a key advantage of Holotomography (HT) microscopy compared to other imaging technologies. “Bright-field or phase contrast microscopy conveniently visualize cellular morphology but only provide qualitative information.Confocal fluorescence microscopy does capture high-resolution 3D structural images but involves invasive labelling procedures that inevitably induce phototoxicity or photobleaching. And, atomic force microscopy (AFM) provides quantitative structural information with immensely high resolution but is necessarily time consuming. “Holotomography microscopy utilizes optical diffraction tomography (ODT) to quantitatively and non-invasively investigate biological cells and thin tissues simply and rapidly. 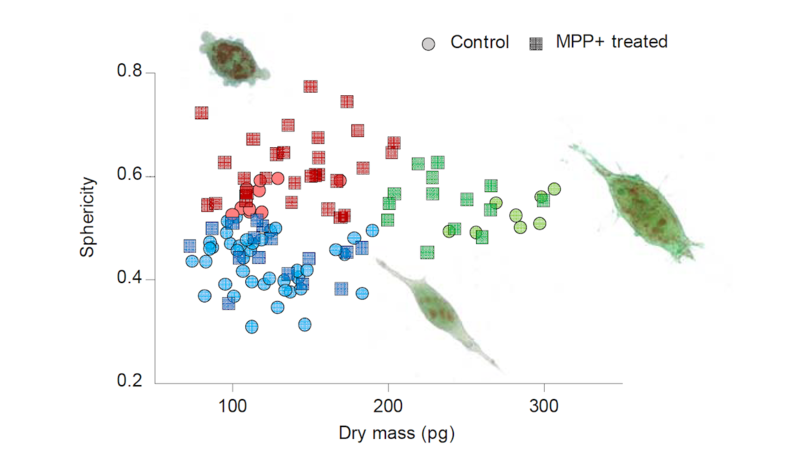 ODT reconstructs the 3D refractive index (RI) distributions of live cells and provides structural and chemical information including dry mass, morphology, and dynamics of the cellular membrane. In doing so, it overcomes the limitations of other microscopy techniques and opens new vistas for researchers and clinicians to understand, diagnose and treat human diseases." Yang S.A., Yoon J., Kim K. and Park Y.K. Measurements of morphological and biophysical disease. Cytometry A. (2017) 91(5):510-518. 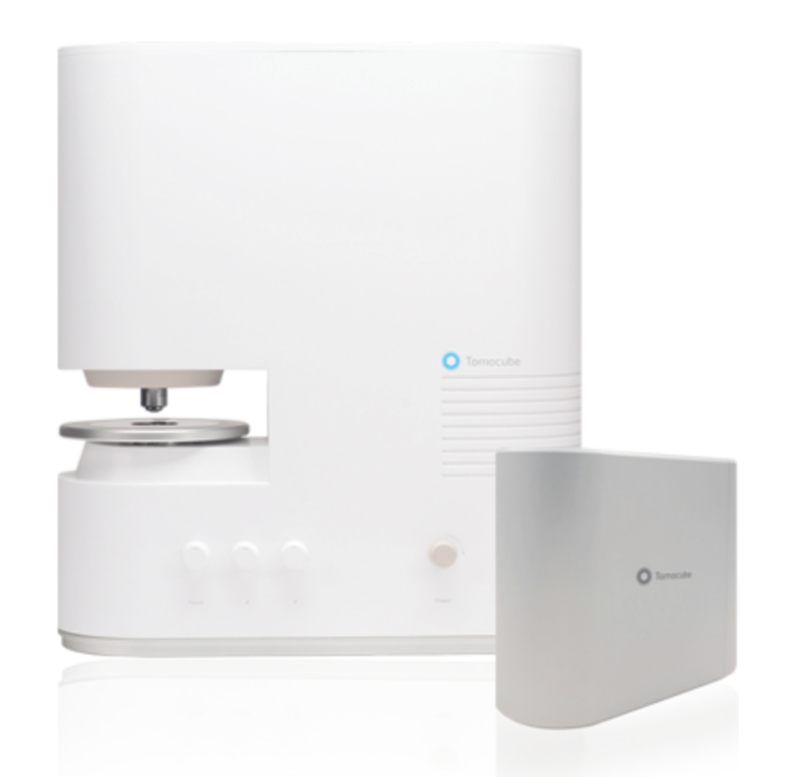 Tomocube is dedicated to delivering products that can enhance biological and medical research via novel optical solutions that can assist in understanding, diagnosing, and treating human diseases.Our microscope platform enables researchers to measure nanoscale, real-time, dynamic images of individual living cells without the need for sample preparation through the measurement of3D refractive index tomograms. This enables researchers and clinicians to work with primary cells andnon-invasively observe label-free 3D dynamics of live cells and tissues, make quantitative measurements and retrieve unique cell properties such as cell volume, cytoplasmic density, and surface area.